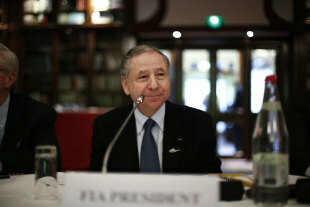 Jean Todt has revealed the FIA has dropped its plans for a cost cap in 2015 after opposition from F1's leading teams. The BBC is reporting the six teams in the sport's strategy group have formally rejected the plans, which were agreed earlier this year. Cost-cutting will now be achieved through rule changes, though Todt is disappointed the teams could not reach an agreement with the FIA. "If the commercial rights holder [Bernie Ecclestone] and six teams are against it, it's mathematics [that it can't be imposed]," Todt said. "In this case, no more cost cap. In a way, I am disappointed because it may be more difficult to achieve the reduction which I feel is needed. 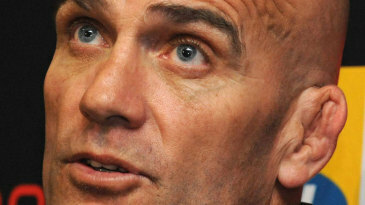 But everyone says we are all in favour of reducing the cost, and through sporting regulations." Red Bull, Ferrari, Mercedes, McLaren, Williams and Lotus all make up the six teams in F1's strategy group, and all get a vote each, while Ecclestone and Todt have six each. The plans centred on a figure of around $200 million (£126 million) as the maximum budget for the season. That would pose a problem for teams such as Red Bull, Ferrari and Mercedes, who spend more than that amount in a year, while teams such as Marussia and Caterham exist on under a third of that amount.